Systembedingt werden bei einem Rechnungswert von unter 49,99 € in dem Bestellformular unseres Online-Shops Versandkosten angezeigt. Bei der Rechnungserstellung durch uns werden diese Versandkosten jedoch nicht in Ansatz gebracht, d.h. Sie zahlen nur den ausgewiesenen Preis. "...eine Zeitschrift, die anders ist als alle anderen." "Liebhaber des Bizarren im Schach: aufgemerkt. Stefan Bücker, der deutsche Erdenker von Eröffnungen wie Geier, Habichd und Mokele Mbembe, hat ein eigenes Blatt gestartet: Kaissiber. Werden Sie auch todkrank vom Geschlossenen Spanisch, Sizilianischen Najdorf oder schon wieder einer Neuerung im 23. Zug der Hauptvariante im Königsindisch, dann ist dies etwas für Sie." [Kaissiber] specializes in openings analysis and historical research. It is one of the most impressive chess magazines we have ever seen." "To begin with, I want to mention a publication that might just fit a certain group of TWIC readers' taste: Stefan Buecker's German magazine Kaissiber. I don't review print magazines in this column, and I won't do so here, but Kaissiber is the best journal I've seen by far for the coverage of rare and little-played openings just about everything from the Elephant (1 e4 e5 2 Nf3 d5) to the Fajarowicz Gambit in the Budapest to slightly more conventional 150-Attacks and anti-Sicilians. A few mainstream openings are also dealt with, but usually with an eccentric, un- or underanalysed move early on. The level of analysis in my opinion far outstrips the many websites and other periodicals that feature irregular systems. Kaissiber has numerous other features, with an emphasis on history and fun: check it out at http://www.kaissiber.de/ . A knowledge of German is extremely useful, but not entirely necessary, because much of the analysis speaks for itself." "In this era of hackneyed chess journalism and sloppy research, Buecker's Kaissiber is a refreshing burst of fresh air. Here you will not find coverage of the latest Category Umpteen tournament or the latest polemics swirling around FIDE's most recent actions. You will find fascinating articles about chess history, computer chess and, most assuredly, opening theory, particularly of irregular, unorthodox and controversial openings. In the mix you are also served vintage photographs, whimsical drawings, book reviews and tactical positions to solve, all of which adds up to pure delight for even the most demanding of gourmet palates." 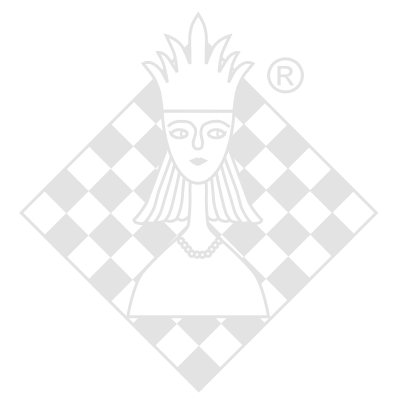 "Kaissiber is a highly recommendable chess magazine of which I have never seen an equivalent. Dealing with chess history and less fashionable opening analysis, it is the perfect supplement to the more top-level tournament and news-oriented magazines like f.x. "New in Chess Magazine" and "Schach". Just try - you will not regret it!"